On Sale Now! 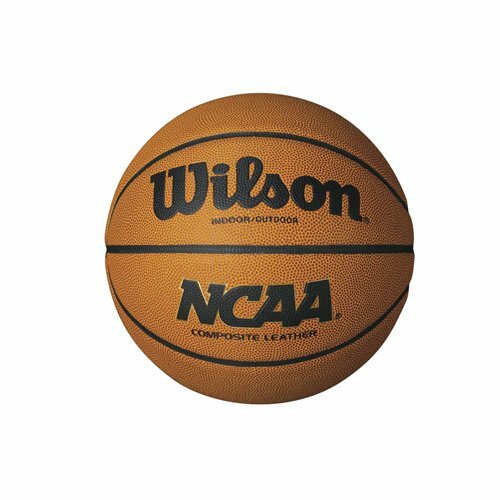 Save 3% on the Wilson NCAA Composite Official Basketball by Wilson at J State Tigers. MPN: WTB0750XDEF. Hurry! Limited time offer. Offer valid only while supplies last. Trust two major players in the game—Wilson and the NCAA—to sign off on something they're proud of: the Wilson NCAA Composite Official Basketball. Trust two major players in the game—Wilson and the NCAA—to sign off on something they're proud of: the Wilson NCAA Composite Official Basketball. Features dual tone composite construction with 8-panel wide channel design and a pebbled rubber texture that provides an excellent grip surface. Official 29.5" size is the real deal. Built for durability indoors or out, the Wilson NCAA Composite Official Basketball is a smart value for both recreational, academic, league or association use.